Iconography is common for the XIX century. The fields depict the patron saints of the family who ordered the icon: Joachim, John Chrysostom, martyr Anastasia and an unknown martyr. Monument of Palekh painting of the XIX century, representing the artistic and museum value. 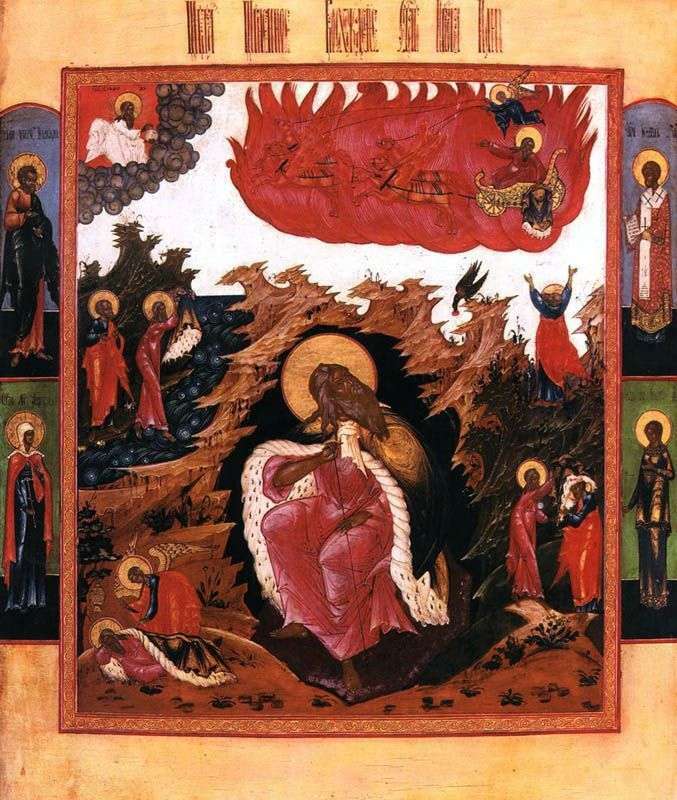 Description and meaning of the painting Elijah the prophet in the desert with scenes of life and Fiery ascent.